MELCAL has installed and commissioned an offshore personnel lift knuckle telescopic boom crane KL500T2M for Huisman, a worldwide operating company with extensive experience in the design and manufacturing of heavy construction equipment. Following a kick off meeting, Huisman was very clear on what they wanted and expected. MELCAL understood their demands and delivered exactly what they required. 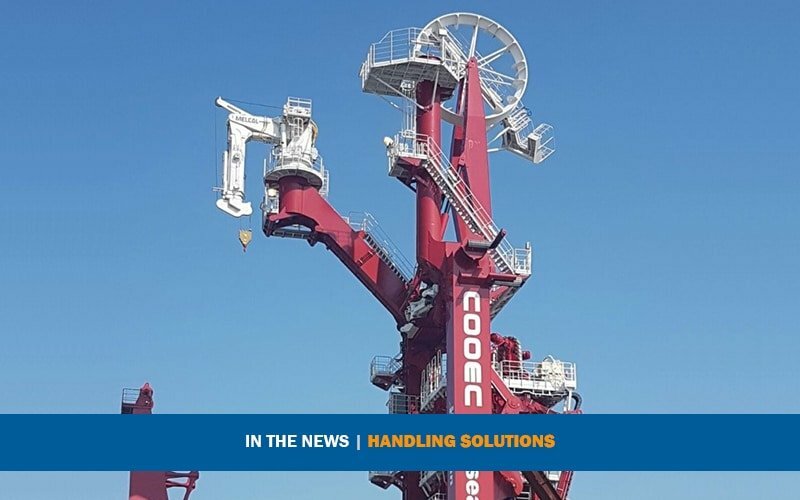 The crane is installed on a new build vertical lay system, on board CNOOEC’s Hai Yang Shi You 286 vessel. The intended use for the crane is to handle items on deck, assist in pipe laying activities and be used for personnel lifting. The crane is located on the vessel approximately 35 m above main deck. With a lifting capacity of 25 tons at 10 m with a maximum outreach of 15 m. The crane has been designed according to Huisman’s high level requirements along with dual class certification by Lloyd’s Register and CCS. In order to carry out a complete tailor-made solution and meet our customers’ demands, our project managers worked very closely with the Huisman team. Thanks to the continuous cooperation and support of both parties, MELCAL delivered on time and in full. Cooperation was invaluable to the successful completion of this project. Huisman conducted audits at MELCAL premises on our manufacturing process during various production stages of the crane to ensure the strict quality controls were adhered too. Coordination, flexibility and working as a team were the added value to the positive result of the job. Finally, installation and commissioning of the crane on board the offshore vessel in China was smooth and straightforward, carried out in only 7 of the 20 man days scheduled, whilst maintaining the highest standards in quality and safety. “We worked very closely with our customer. Creating this fantastic partnership and continually interacting with them, we have learned to fully understand their needs and requirements. Huisman requested MELCAL to deliver a crane with a high capacity, long life span, moderate operational costs but most importantly a reliable and safe to operate crane, which we have successfully delivered”.